Here is bright-eyed & still-spry super senior 12 year old “Oliver”. Nearly a year ago, he was diagnosed with Degenerative myelopathy (AKA DM). DM is a slowly progressive, neurodegenerative disease that affects the spinal cord and thus a dog's ability to walk. Although not exactly the same as ALS or Lou Gehrig’s disease, it has similar manifestations. It is caused by a DNA mutation and there is a DNA saliva test to screen for this mutated gene. On a structural level, myelin, which surrounds the nerve fibers & carries signals to the muscles of the body, degenerates and this results in a lack of coordination and communication so the nerve’s signals to move are not “heard” by the muscles. It typically begins in the mid to lower spinal cord, and progresses up. Visually, progressive weakness & lack of coordination of the hind legs is noticed first: toe scuffing when walking (wearing of the toe nail tops), dragging rear feet, unsteady gait, etc. 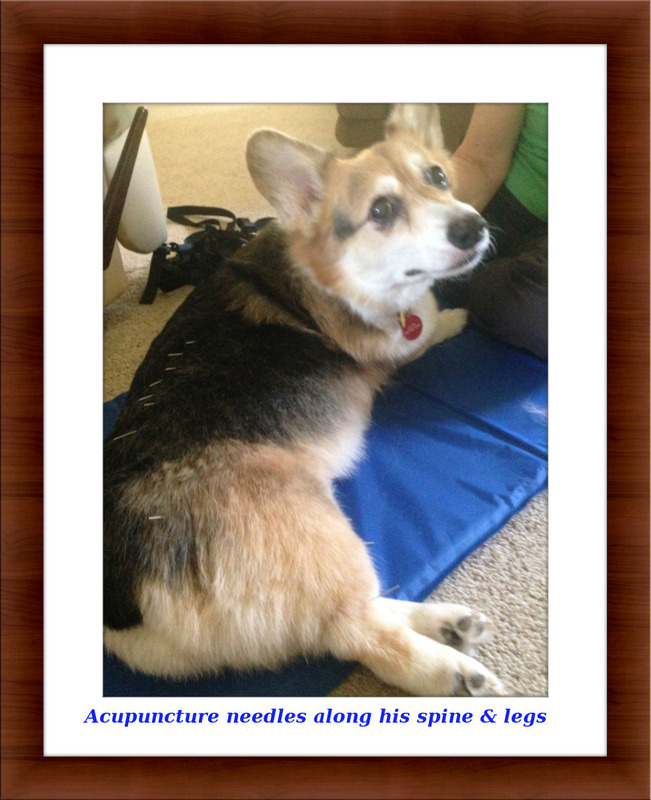 In time, muscle atrophy (weakness), and paralysis of the hindlegs occurs. Many pets also become incontinent. It will eventually move upwards along the spinal cord can eventually affect the muscles that innervate the chest cavity and thereby affects breathing and front limb muscles. 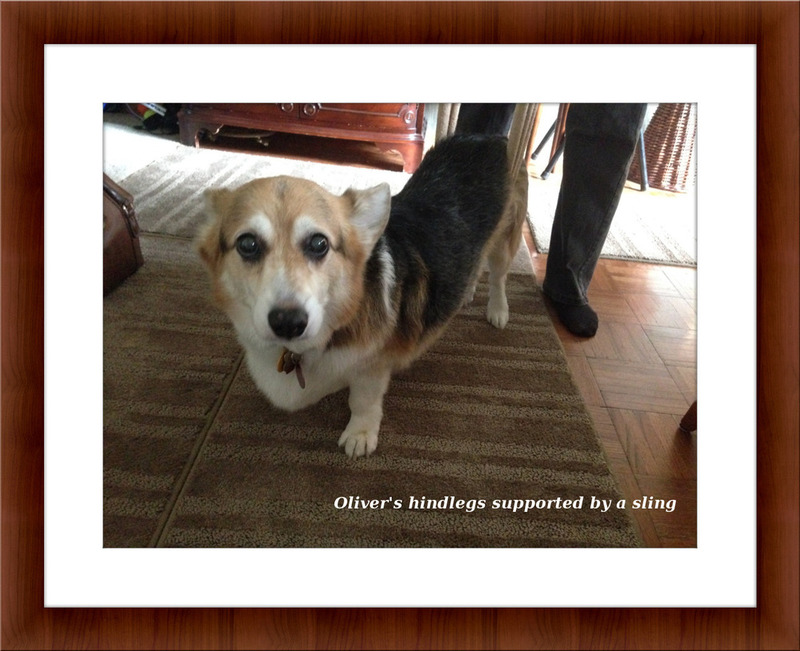 Most pets are euthanatized before this occurs, and most within by 12 months of initial diagnosis-- but Oliver is defying the majority...and hopefully your pet will too! Oliver’s timeline of DM Progression: Here is Oliver’s progression, but keep in mind each situation is different, based upon rate of progression and where the degeneration first began. -6 weeks ago: Oliver began defacating more in the house, right now it is a few times a week that he will have an accident. He has only had a few urinary accidents. -2 weeks ago: Oliver’s family decided to get him a cart- it is currently being made. He stills wants to run and be active, so hopefully the wheelchair will be a great way for him to continue to do the things he loves! Oliver still loves to be engaged mentally- he loves his treats and chasing bunnies outside. His family supports him with a sling and tries to encourage him to use his legs as much as possible. He loves massage & his mom gently does range of motion on his legs. He still goes for walks daily, and is known to pull his mom (as she holds his back legs up in a sling) as he chases after bunnies! Fortunately, dogs with DM do not appear to be in pain, however because there is weakness in muscle groups, it can cause strain on the healthy muscles and joints, so joint supplements and arthritic pain control, as well as massage & chiropractice care may be helpful. Breast Cancer Awareness: Important to Examine Dogs and Cats too!